If there ever was a universal constant it’s this one. When running late for work or for an appointment you can be pretty much guaranteed you going to misplace your keys. 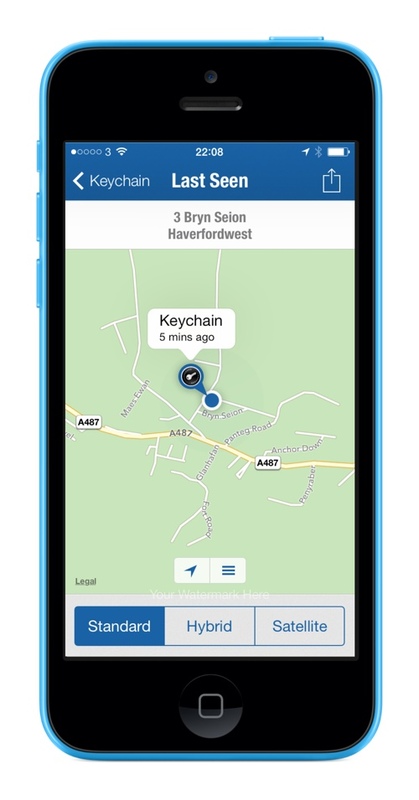 So the irony wasn’t lost on me when Elgato sent me their smart key for review After I had lost my keys for the second time in a week, of course whilst running late for work. The Elgtao smart key is a fancy key fob that contains a Bluetooth 4.0 low power chip that communicates with your iPhone to let it know when it’s in range. When out of range the phone then notifies you and then shows you a map of where your item was last using GPS. 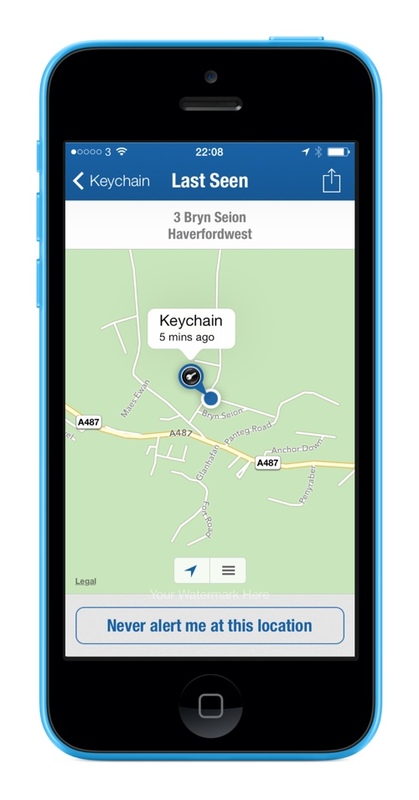 You’re probably thinking this sounds an awful lot like find my iPhone and yes, the similarities are rather striking however the smart key can be used for more than just your wallet. I haven’t been on holiday for a while but I could certainly see a use for this when waiting for my baggage to arrive on the conveyor belt. 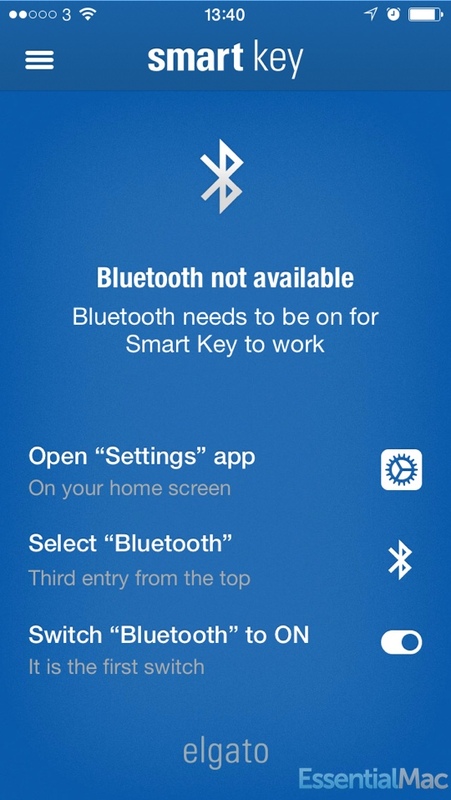 Getting started is a simple case of pairing your Elgato Smart Key with your phone and then drilling through the tutorial. The whole process takes less time than it does to read this sentence. Once paired up it’s time to choose what you’d like to keep tabs on or what profile you’d like to use. 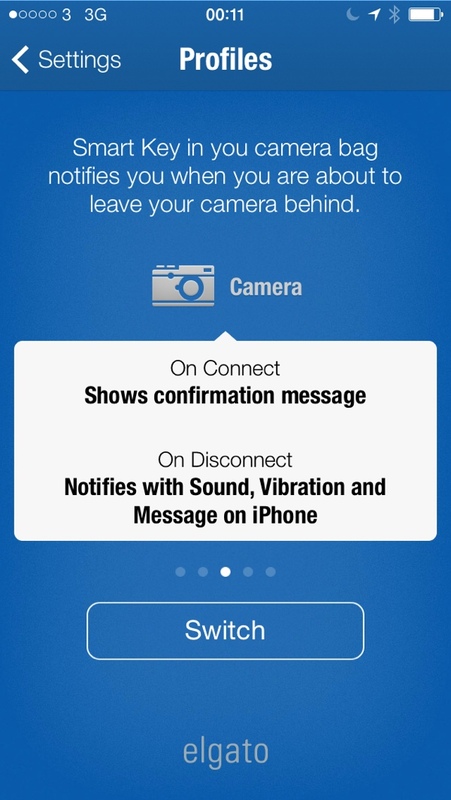 The profiles are different enough so you can identify different items you might be tracking. 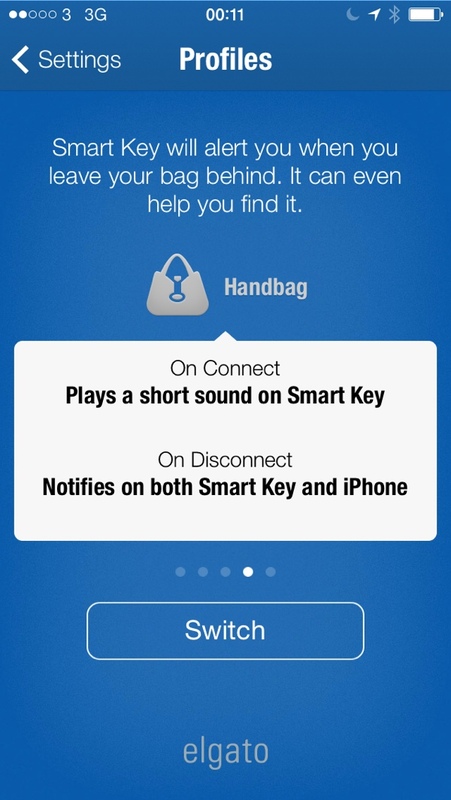 There’s also the option to create your own custom profiles although car, handbag, keys and luggage settings should see you through nicely. 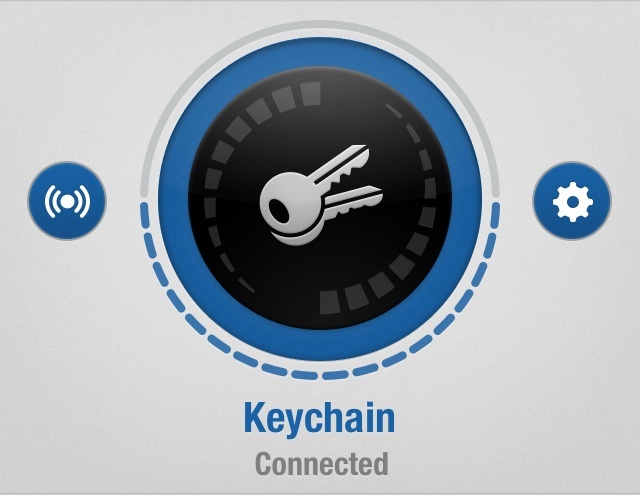 Using The Smart Key In The Real World. 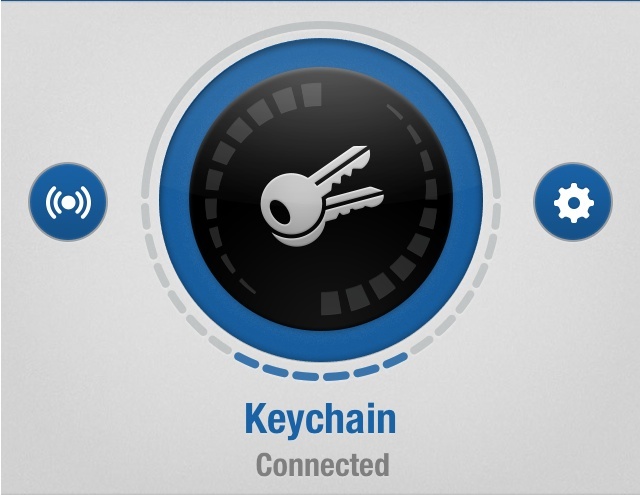 Well it’s saved my bacon more than once even with just the simple ability to sound an alarm on the Smart Key. 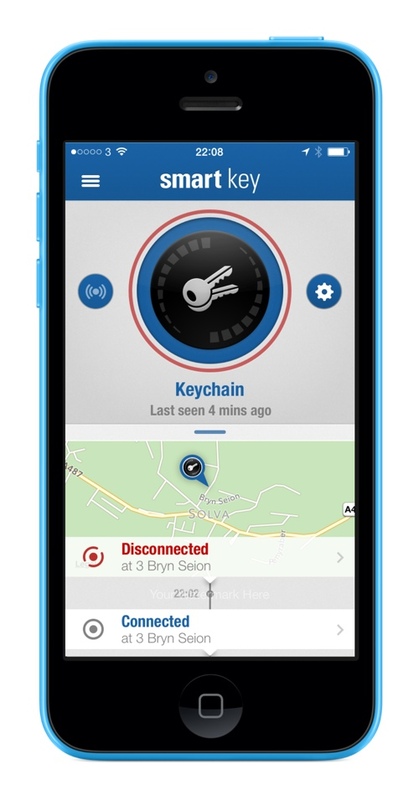 Ever buried your keys in a mountain of clothes or left them in a pocket and you’ve been scratching around for ages trying to find them, playing an alert gets rid of all that, providing you are in range of course. Bluetooth 4.0 LE might have a theoretical range of 100ft (wikipedia) but my real world tests were certainly far off the mark. 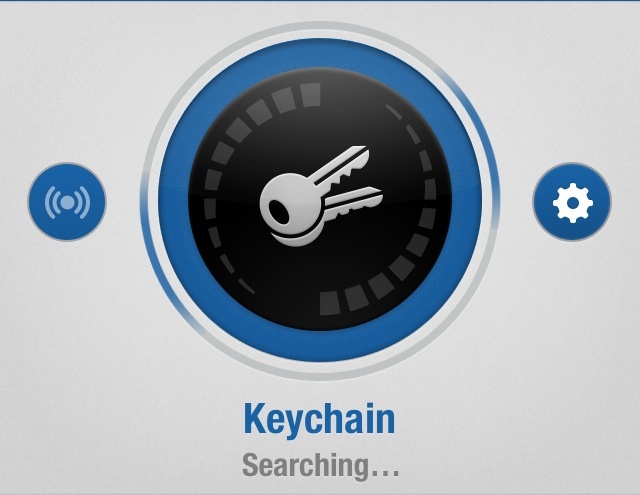 At the top of the app you do get a signal strength indicator so you will at least know when you get hotter or colder to your lost items. It does take a few seconds to update the strength and we’ll cover that shortly. 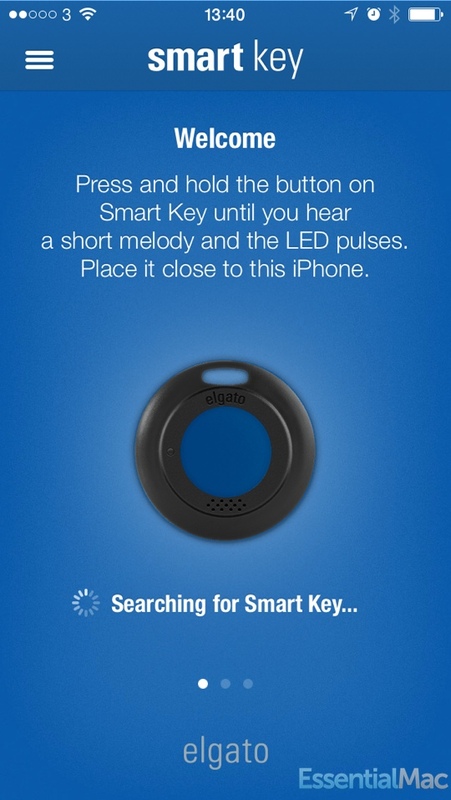 In an open field the Smart Keys range was about 25 to 30m but that’s with a battery that was just about to run out. I’d be interested to see if the distance increased with a fully charged battery. Inside testing is obviously going to be dependant on your surroundings and in my old fashioned stone built bungalow ranges were between 5 and 10 meters which isn’t too bad I’d say and that’s with a plethora of gadgets, wifi hotspots along with the microwave running. 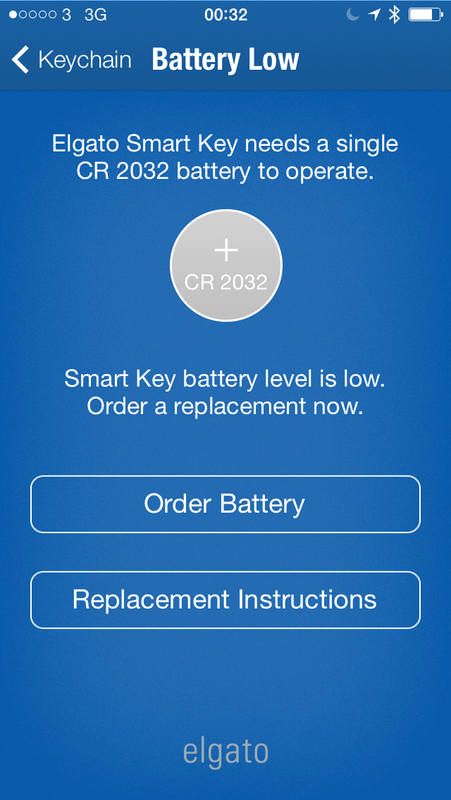 Just as important as the range is the response time to let you know whatever the Smart Key is attached too is out of range. Notifications came up a few moments after a few seconds of “searching” and realising you were no longer in range. The moment your tracked item goes out of range the UI updates itself to show the last known position, using the last known position it pulls down a google map’s location. Being google maps the options are there for standard, Hybrid or satellite views. 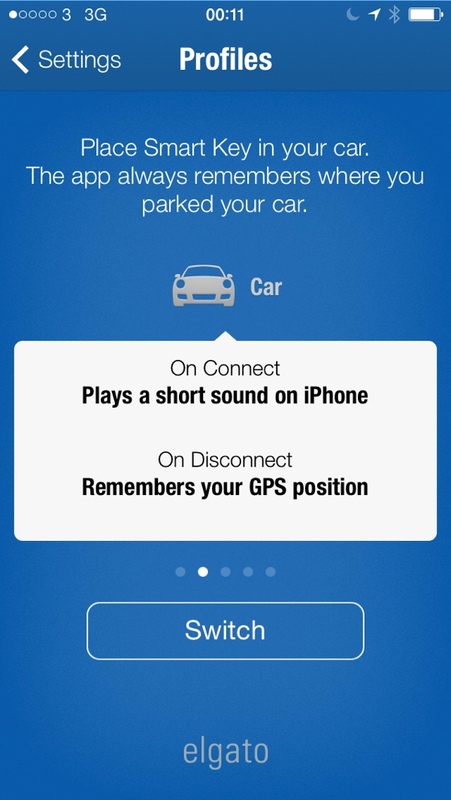 The systems also doubles up as a handy find my car locator as well, gps gives you a good location where you parked up and the signal strength gauge. Notifications aren’t instantaneous but the company does state that it’s not designed to be an antitheft device and I reckon is quick enough that if you were to leave an item on a train you probably stand a good chance of getting notified before it sets off. “They sell them as anti-theft devices and they’re not,” says Lars Felber, PR director for Elgato. 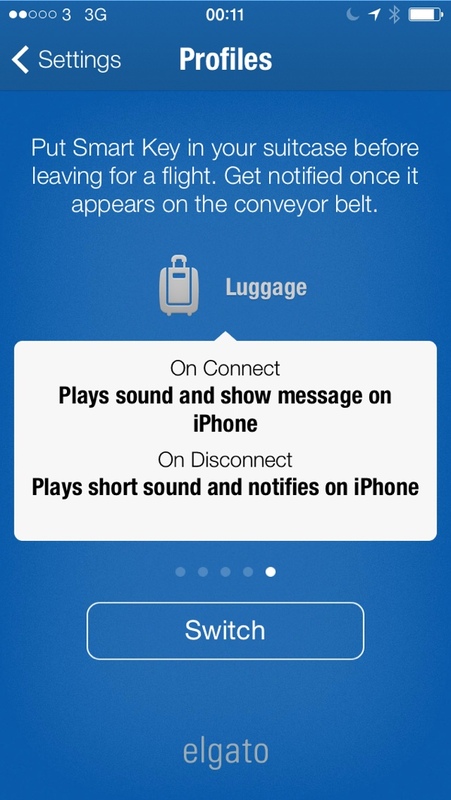 Pressing the button Smart Key button will also let you find your iPhone as long as it’s in range. Again handy for those frantic where’s my phone and avoids all those stupid times you’ll hear “when did you last have it” or “it’s on the side”.. 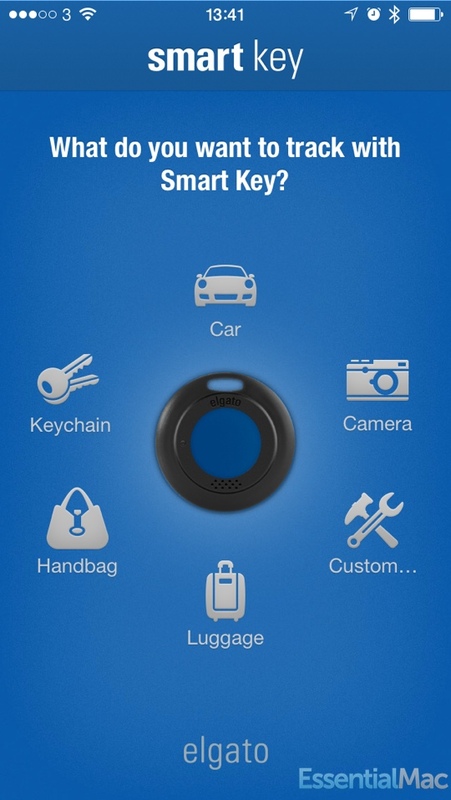 So yes there are other items on the market which share a similarity to this but where the Smart Key really comes up trumps is the user replaceable battery. Other units may have a rechargeable unit but expect to pay a premium for that.